Humans love patterns. We doodle patterns, buy patterns, wrap gifts in patterns, we even dance in patterns. Music and art, science and math, all have patterns. There are patterns in the tiniest things and in the expanse of the universe. Patterns are combinations of repeated shapes. 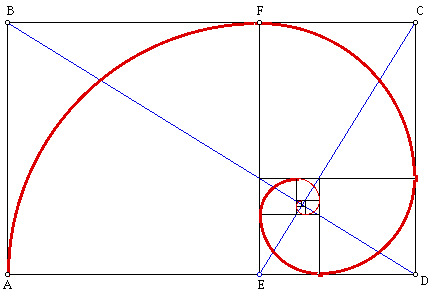 The most perfect shapes are those of the golden mean, or golden ratio – a mathematical equation (1:1.618), a proportion which manifests throughout nature. Beautiful faces supposedly develop in accordance with this equation. Around the world and in every culture, assessments of beauty can be connected with the golden ratio. From prehistory this has been observed. Around 5000 BC, helen was a standard measurement of beauty: Helen of Troy was known as the woman whose face launched a thousand ships. A helen is an ancient term for the golden ratio. The ancients believed that a profound order underlies the universe, harmony in number that is expressed in geometry. 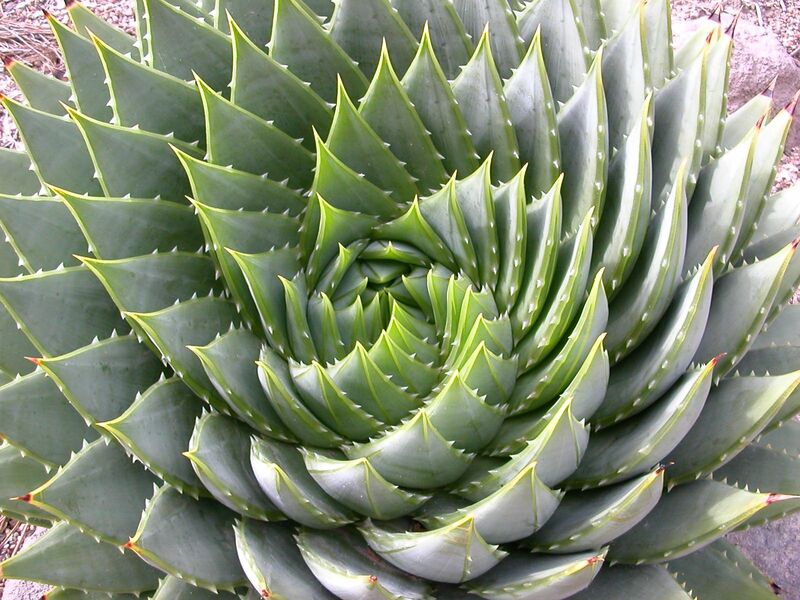 The golden ratio is the foundation of Sacred Geometry, a term which refers to philosophical beliefs based on it. In ancient Egypt these geometric shapes were considered sacred, and by 550 BC the golden ratio became a philosophy taught by Pythagoras as Sacred Geometry. 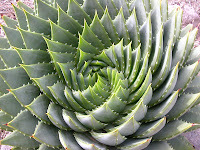 The shapes of Sacred Geometry date to prehistory; abstract geometric symbols such as spirals, circles, and squares have been used since before the Paleolithic Period, ca. 12,500 BC. Although credited to Pythagoras, the 3-4-5 triangle was known and used ca. 6000 BC by megalithic Vanir astronomers. Each shape represents a three dimensional form; circles represent spheres, squares are cubes. Sacred Geometry considers five perfect 3-dimensional forms - the tetrahedron, hexahedron, octahedron, dodecahedron, and icosahedrons, known as the Platonic Solids. Mystery cults in ancient Greece taught that these shapes represent the essential structure of the universe. Pythagoras once said: "Number is the ruler of forms and ideas, and the cause of gods and demons.” He considered geometry to be the highest form of knowledge and the key to higher mysteries. Our ancient ancestors realized that there is dynamic mathematical relationship between beauty and truth. Artisans used the proportions and shapes of Sacred Geometry to express philosophical and theological ideas as forms of grace and beauty. The architects of classical Greece designed their buildings according to Sacred Geometry to enhance a sense of tranquility and enlightenment. Sacred Geometry also plays a role in symbol design. 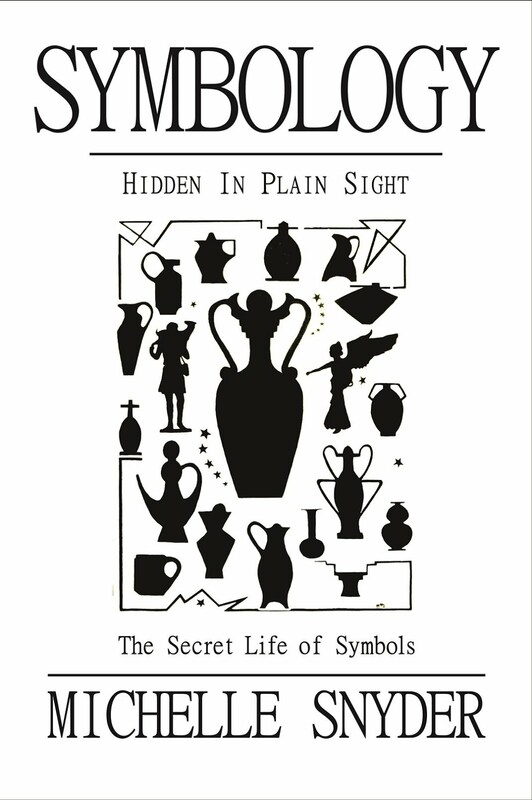 Some images have design elements which act as a blueprint beneath the rendered image, so that not all information or meaning of a symbolic emblem is readily visible. 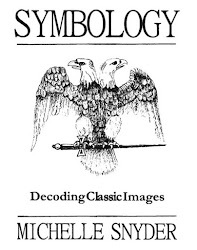 For example, an alchemical symbol of a tree with a bird on either side, reflecting the shape of a cross, adds symbolism of the cross to the meaning of the birds and the tree. Renaissance masters used the golden rectangle to design their paintings. These geometric elements contribute balance, proportion, harmony, and meaning to the complete work. 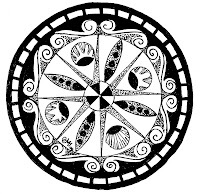 Mandalas are designs, usually circular, that use the shapes of the golden ratio in concentric layers. These patterns of shape and color elegantly express Sacred Geometry. In Tibet and India mandalas are sacred works of art which function as meditative focus: by moving the eyes watchfully from the perimeter toward the center, the seeker becomes more centered. Theoretically, through the study of symbols, designs and patterns we can access knowledge contained in our genetic memory. Archetypal shapes reach deep into the unconscious and affect the observer, opening the heart and mind to conscious evolution through geometric models. Like all archetypal images, the geometric shapes of mandalas are powerful because they are perceived by the subconscious mind, bypassing the rational processes of thinking. Holistic healers, physical therapists, and other professionals recognize the centering and healing aspects of these designs, and hang them in treatment rooms. 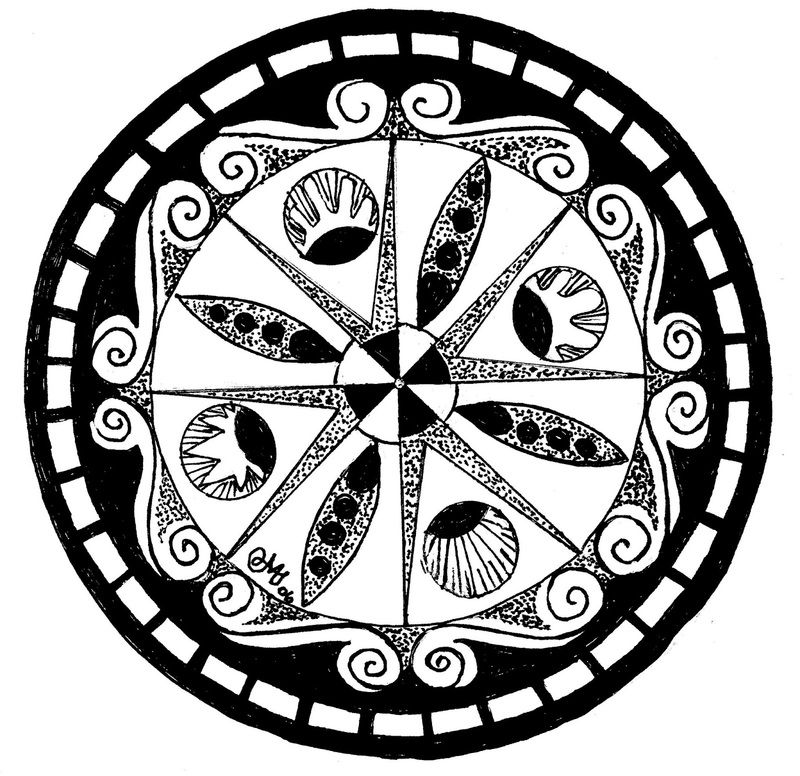 Carl Jung had his patients create their own personal mandalas to help them become more centered emotionally and mentally. The next time you’re feeling a little blue, create one of your own: an absorbing and centering task you may find fun! Have you explored why standard cubits were 6 palms x 4 fingers = 24 digits and the Egyptian sacred royal cubits were 7 palms x 4 fingers = 28 digits? Have you heard of the GOD=7_4 algorithm/code? See http://GOD704.wikia.com . In solfeggio, G=Sol (Latin: Sun-god) and D=Ra (Egyptian: Sun-god). "As Above, So Below" was/is the precept of ancient 'sacred geometry'. GOD=7_4 algorithm/code is the primary example of sacred geometry. The ancients observed the '7 Classical Planets' with 4 not casting shadows on Earth/4 can't easily be seen during the day. The 4 lunar phases are roughly 7 days (~7.4 days) each. The lunar year of 354 days + 7 day week + 4 days = 365 day solar year. The 7 stars of the Big Dipper with 4 in its ladle. It points towards the Little Dipper which is again 7 stars with 4 in its ladle. Orion the Hunter is 7 stars with 4 being his shoulders and feet (+ three stars of Orion's Belt). Mars returns to the same point in relationship to Earth and the Sun every 47 years. The ancient Egyptians took the standard cubit of 6 palms x 4 fingers = 24 digits and added a palm to create the sacred royal cubits of 7 palms x 4 fingers = 28 digits. Genasis 1:1 in its original Hebrew is 7 words & 28 (7x4) letters. "On the 4th day (of 7)..." The recurring sacred #40 was introduced in Gn 7:4, "For in 7 days, it will rain for 40 days & 40 nights". Besides Noah, there were 7 others on the Ark and 4 were married women. Etc. Simple(6,74) English(7,74) Gematria(8,74) uses 'the key'(74) of A=1, B=2...Z=26. GOD=7_4, 7/4=July 4th or 7 April 30 AD: Good(7__4) Friday(74) when Jesus(74=J10+E5+S19+U21+S19) was nailed on(74) the Cross(74=C3+R18+O15+S19+S19). The post to which you refer comes from a physicist, astronomer, historian, mathematician, archaeologist, rocket scientist colleague. He is also well versed in cosmology, chaos theory, and his expanded Order Theory is published in the Rhodes Fairbridge encyclopedia of geomorphology. Gematria is, for him, too shallow a view of Creation. It was an opinion one time that the golden mean was the basis and foundation of all reality. All that is beautiful is based on this proportion. He asked me if that was so, where does ugly come from? During the Atlantic Era, after the Boreal when the earth warmed up, life was a little easier than during the iron cold ice ages. The Vanir Paleolithic culture survived the Lascaux, Bolling, and Allerod cold droughts. In the Atlantic, known as the Grand Climate Optimum, agriculture boomed, and water was a great way to travel. Venus is a considered goddess because those who discovered her ability to keep perfect time were megalithic mariners - female navigators. They calculated longitude, named the planets and then the days of the week after them all before 4000 BC. They figured out how to divide a circle by 3, 5, and 7. The very word DIVINE comes from DIVIDE. Those who could do this were rare, and critical to the survival of the human race. So, from 'those who could divide' comes our concept of the divine. Esoteric studies, mysticism, gematria, alchemy, and all other mystical and occult philosophies grew from the incredible knowledge of this Vanir culture - and all are, for Doc E, recent. His research, studies, calculations, and timelines include millions of years ago to thousands of years in the future. His cosmology is based on the unknowable, perfect substance from which all things flow. This perfect substance can not be imagined or understood by any combination of man or machine. And, as St. Augustine said, there is no such thing as infinite regression. So, somewhere there is an end, or a beginning. He has given me a short manuscript which connects Bible verses about creation to science. It is fascinating. All is cause and effect. Humans cannot explain, only describe. What we consider the answer to why is just the observation of another cause. He warned me that eventually my endless questions would lead to a place where there are no answers. A place where we cannot see the cause anymore. Even with our extreme advancements in technology, this will happen. Quantum Entanglement is a mysterious thing to observe. We can see it, but we cannot explain. We cannot see the cause of this function. Doc E is a descendant of 'those who could divide.' I will not, however, call him divine in the modern sense. He is far from it. Dr. Robert Duncan-Enzmann is in his late 90's and he and his just-as-amazing wife have given White Knight Studio free access to their vast archives, writing, and brains. You can see the Enzmann Starship in many places, books, and websites, and see his wife with her missile on the Enzmann Starship website. 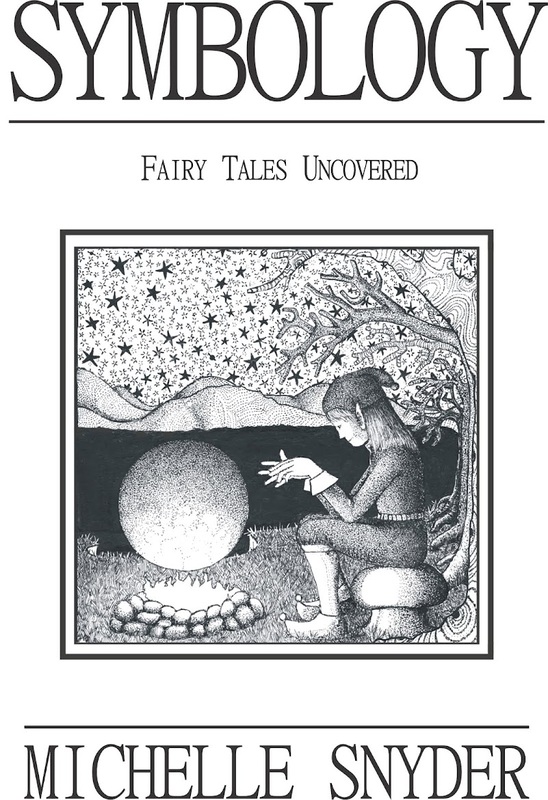 We continue to publish his writing, and have several books from their archives to produce, along with manuscripts from family - several generations of Harvard, MIT, Yale, and NorthEastern graduates. If we had an hundred years we could not cover it all. And we will never understand it all. 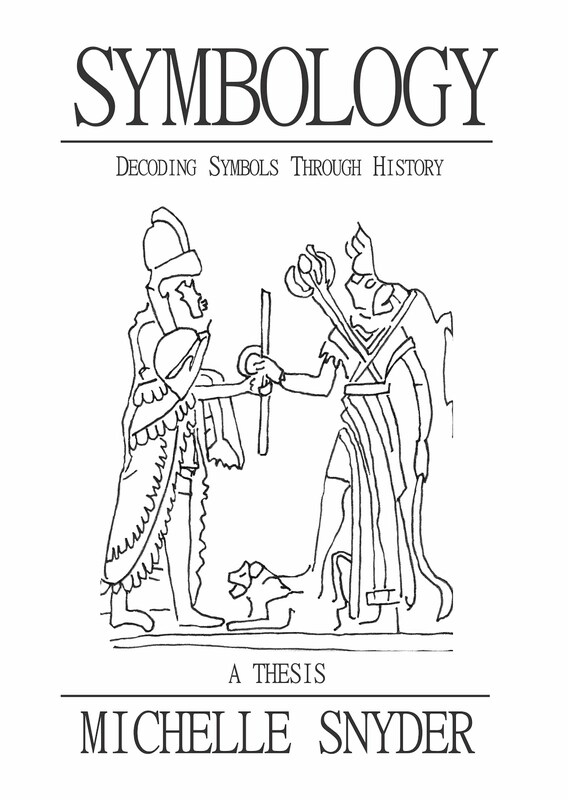 The books, articles, blog posts, and seminars we produce are designed to communicate to the average person who is interested in the field of symbolism, and those looking for an alternative to the deconstructed and made up history we are given in the main stream. We have thousands of pictoral and literary references for what we publish, but for expedience we kept the blog to the biography that went with my thesis. I am fascinated by the world of mysteries, and you have done a lot of research in one area of the mysterious, and have much to share. If I were to dive in and produce an article about this subject, I would by necessity simplify, and generalize for the average reader. Thanks for the absolutely fascinating in depth post!